selection; the bakery options; the cleanliness of the trains; the timeliness of the trains; fondue. Best Moment: Seeing the Matterhorn with Lorenz. train was going to experience. Sounds: The sound of air while being way up high in the snowy mountains. 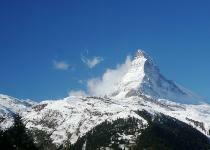 Sights: The Matterhorn; the Swiss Alps; sheep and cows; tons of chocolate shops and bakeries. Tastes: Fondue with mushrooms; fondue with tomatoes; different types of chocolate; apfel kuchen. Purchases: Some chocolate and a few more items of clothing from H&M. Street Food: Sausages; big soft pretzels. Fun Food Finds: A McGruyere burger at McDonald's. Kind of funny. 'Western' (more like 'American') Companies Out Here: McDonald's; Subway; Starbucks. Type of currency? 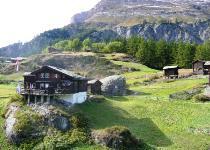 Swiss Franc. About 1 Swiss Franc equals $1.15 US. Costs: $550 (largely due to Lorenz' generosity). 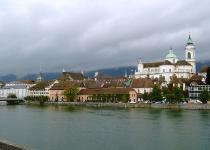 Solothurn - Where Lorenz calls home.